In anticipation of the 40th anniversary of the U.S. Supreme Court’s landmark death penalty decision, Gregg v. Georgia, today the Fair Punishment Project released a new report called America’s Top Five Deadliest Prosecutors: How Overzealous Personalities Drive the Death Penalty. The report identified America’s five deadliest head prosecutors out of the thousands that have held that office across the country in the last 40 years. Three of the five prosecutors (Joe Freeman Britt of Robeson County, North Carolina; Donnie Myers of Lexington, South Carolina; and Bob Macy of Oklahoma County, Oklahoma) personally obtained more than 35 death sentences each, while the other two (Lynne Abraham of Philadelphia County, Pennsylvania and Johnny Holmes of Harris County, Texas) oversaw District Attorney offices that obtained more than 100 and 200 death sentences respectively during their tenures. Together, they have put the equivalent of 1 out of every 7 people currently on death row. Four of the five deadliest district attorneys prosecuted, or oversaw the prosecution of, eight individuals who were later exonerated and released from death row. This total represents approximately one out of every 20 death row exonerations that have occurred nationwide. Together, these five prosecutors obtained at least 440 death sentences, which is equivalent to approximately 15% of the current U.S. death row population, or approximately one out of every seven people currently sentenced to death. After four of the five deadliest prosecutors left office (the fifth prosecutor is still in office), death sentencing dramatically declined in these jurisdictions, indicating that it was these individual personalities, not an excessive attachment to the death penalty by local residents, that drove up the rates of death sentencing. Despite the fact that we have witnessed historic declines in death sentencing in the 40 years since Gregg, a small handful of prosecutors continue to use the death penalty at a disproportionate rate, which contributes to a misperception that the death penalty is widely used when in fact it isn’t. In 2015, death sentences were handed down in just 1% of counties nationwide,” said Professor Emily Hughes of the University of Iowa College of Law. Read the report, it’s well worth your time. I’ve never been philosophically opposed to the death penalty, but I’ve never been attached to it, either. If and when it gets outlawed some day, that will be fine by me. Link via Daily Kos. Here’s an update on one of the more notorious murder cases in recent history. At least, that’s what many people believe about the notorious Rowlett woman now on death row after savagely stabbing her 5- and 6-year-old sons 20 years ago Monday as her husband and 7-month-old son slept upstairs. Shortly after the murders, NBC5 (KXAS-TV) captured video of Routier — with bleached hair, smacking gum and giggling — spraying Silly String on her sons’ graves. Jurors in Kerr County watched the video at least seven times before convicting Routier of capital murder in 1997 for the deaths of one of the boys. Routier’s family says the Silly String, provided by Darlie’s sister, was part of a birthday celebration. Her oldest son, Devon, would’ve turned 7 that day. The party followed a prayer service for both Devon and his younger brother Damon, but TV cameras didn’t capture the tears, Kee said, only a frolicking Routier. Kee maintains her daughter’s innocence, saying an intruder killed the boys. And even two decades later, there are lingering questions in some minds about Routier’s guilt. Some point to a bloody sock found in the alley behind the family’s home as proof Routier was telling the truth about an intruder. Others don’t believe Routier is innocent but wonder if she really acted alone. And many people still have a hard time believing that a young mother could butcher her babies in cold blood. Prosecutors in the case believe the matter is settled, but it continues to wind its way through the state’s appellate court system. No date has been set for Routier’s execution. Her attorney and family say they believe new DNA testing will prove that someone else was in the home that night 20 years ago. They say the pending tests could give Routier, now 46, a chance at a new trial. I don’t know what to think about this one. It’s easy enough to imagine that Routier was not given a fair shake at trial, given the hysteria and the way she was portrayed in the media, but as far as I know there haven’t been any of the usual allegations about specific wrongs – prosecutorial misconduct, lying witnesses, tainted evidence, etc – that generally accompany cases where a clear injustice has occurred. Routier’s conviction was upheld by the CCA in 2003, though given the CCA’S notorious pro-prosecution tendencies, that in itself doesn’t mean much. She was granted the right to pursue further DNA testing by the CCA in 2008, but if anything has happened with that since then there’s no news of it I can find. This story about Routier appeared on the same day as stories about Kerry Max Cook’s exoneration after 39 years, Sonia Cacy winning a ruling of actual innocence in the death of her uncle, and the Supreme Court agreeing to review two Texas death row cases. Perhaps one day Darlie Routier will get another chance to convince a court she didn’t kill her sons. Howard Guidry was 18 years old when he was charged being the triggerman in a 1994 murder-for-hire case that involved a Missouri City police officer and his estranged wife. Twice he was convicted and sent to death row, and both times the prosecutor who sent him there was Kelly Siegler, the legendary Houston attorney who has been accused of withholding evidence in another high-profile murder case. Now Guidry’s attorneys are saying she used the same tactics when she prosecuted their client, both in the original trial, which was overturned on appeal, and again when he was retried. In the wake of District Judge Larry Gist’s ruling earlier this month, which said Siegler withheld evidence in the trial of David Temple and recommended a new trial for the Katy man, lawyers for Guidry are preparing to file amendments to a 2013 appeal explaining how her behavior in Guidry’s case is similar to what she did in the Temple case. There are several striking resemblances between the Brady material that was not released in Temple’s 2007 trial and Guidry’s two death penalty trials, including evidence of other suspects and exculpatory evidence about the murder weapon. In what may be the most damning example, Guidry’s lawyers were never told that crime scene investigators found fingerprints that were not Guidry’s on Farah Fratta’s car door and front fender where the shooter would have stood. The fingerprints were from another man who resembled Guidry and was friends with one of the suspects in the case. The fingerprints that were found next to the body of the estranged wife were never disclosed to Guidry’s defense lawyers. The man resembling Guidry, who was part of the ring of suspects in the case, was never charged. Police investigating the slaying found human blood in the car he owned, which matched the description of the getaway car that witnesses saw, including having only one headlight. In an appeal with hundreds of pages of arguments and sworn affidavits, Guidry’s lawyers allege numerous instances of misconduct. They contend Siegler hid the identity of the suspect resembling Guidry, his fingerprints and the fact that there was blood on the seat of his car. In the Temple ruling, Gist took Siegler to task after she testified that Brady material did not need to be disclosed if she didn’t believe it. “Of enormous significance was the prosecutor’s testimony at the habeas hearing that apparently favorable evidence did not need to be disclosed if the state did not believe it was true,” Gist wrote. Lawyers for Guidry say the investigation of the man whose fingerprints were found is just one of the many pieces of evidence that was withheld. See here for some background. I vaguely remember this case, though I don’t recall any details or that there was a controversy about how the trial was conducted. As such, I have no insight as to the merit of these allegations. I do think the so-called “Kelly Siegler rule” is wrong and cannot be allowed to serve as a standard for what qualifies as Brady material. I don’t know what the standard should be, but it needs to be more inclusive than what the prosecution thinks the defense might need. I hope the generally prosecution-friendly Court of Criminal Appeals can provide some better guidance, because I strongly suspect Kelly Siegler isn’t the only prosecutor, and David Temple and Howard Guidry aren’t the only defendants, to whom this would need to apply. Hair Balls has more. If you’ve lived in Houston long enough, this story will bring back a flood of memories and emotions. Randy Ertman, a house painter who became a blunt-spoken, combative advocate for crime victims’ rights after his daughter and another teen were raped and murdered in a northwest Houston park, died Monday of lung cancer. In the early 1990s, Ertman became a familiar figure to Houstonians as he appeared in news photos confronting relatives of his daughter’s killers, who had suggested the victims’ families bore some responsibility for the girls’ deaths. Ertman’s advocacy led to changes in state law, allowing crime victims’ families to direct comments to convicted offenders in the courtroom and permitting relatives of homicide victims to witness executions. Ertman was catapulted into his advocacy role by the June 24, 1993, murders of his 14-year-old daughter, Jennifer, and her 16-year-old friend, Elizabeth Pena. The teens were killed in T.C. Jester Park after they blundered into a nighttime gang initiation rite as they made their way home from a nearby party. Six gang members were convicted in the crime – an episode so horrendous that it deeply shocked a city that routinely shrugged off acts of violence. Three of the killers – Derrick O’Brien, 31; Jose Medellin, 33; and Peter Cantu, 35 – have been executed. Two others are serving life sentences; a sixth was given a 40-year sentence. Ertman, 61, died one day after the anniversary of Cantu’s 2010 execution. The murders of Jennifer Ertman and Jennifer Pena were just horrible. I have no connection to either family, it’s been almost 25 years, and I still can’t read about them without getting worked up. As you know, I have a lot of problems with the death penalty. Racial disparities, bad forensics, unreliable eyewitnesses, coerced confessions, an appellate system that cares far more about “getting a result” than getting that result right, the list of reasons to oppose the death penalty goes on and on. And yet, while I think our system of justice would be just fine without a death penalty, I can’t quite bring myself to call for its abolition. I have always felt, and I continue to feel, that there are some crimes and some criminals for which it is the appropriate response. I would not have been able to tell Randy Ertman, or a member of the Pena family, that the killers of their daughters deserved to have their lives spared. Maybe that’s a failing on my part, but if it is, I accept it. Rest in peace, Randy Ertman. I wish the same peace to your family and the Pena family as well. Doug Miller, who has a nice tribute to Randy Ertman on his Facebook page, has more. Most of what you need to know about this story concerning Wendy Davis, the death penalty, and the Governor’s race can be found at the end of it. 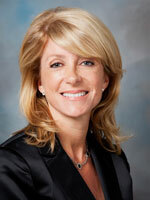 In July 2000, when she was a relatively new member of the Fort Worth City Council, Wendy Davis voted for an open-ended moratorium on the death penalty, a move that would have closed the nation’s busiest death chamber in Texas at a time when such a position was a political lightning rod in most of the state. Now, as the 51-year-old Democrat state senator ramps up her campaign for governor of Texas, her support for the resolution 14 years ago is attracting new attention, even though she publicly supports the death penalty. Davis says her support for a moratorium in 2000, in a state that has executed more criminals than any other, was presaged on national questions at the time over whether innocent people were dying by lethal injection, at a time when DNA testing that had exonerated several convicts in Texas was just coming into vogue, and over whether juveniles and mentally disabled convicts, even foreign nationals, should face capital punishment. Through a spokesman, Davis said the questions she had in 2000 have been addressed, by changes in law and by the courts. In Texas, where overwhelming public support for the death penalty caused three Democrats vying for governor in the 1990s to run attack ads accusing each other of not being tough enough on murderers and other criminals, public support for capital punishment remains strong, though polls show that support has declined in the past 20 years. What will make a difference in whether Davis’ change of heart becomes an issue in her race is whether Abbott can make it one, he said. To William “Rusty” Hubbarth, an Austin lawyer who is vice president of the Houston-based Justice for All victims-rights group, Davis’ view of the death penalty is a curiosity. Twice in January, he said he wrote Davis asking where she stands on the issue. He said she has yet to respond. I’d say Mr. Hubbarth is spot on. There are certainly people that wish Davis were forcefully against the death penalty, but that position is clearly at odds with public opinion in Texas and would be quixotic at best given that she couldn’t do anything to change the law as Governor anyway. What she can do is appoint members to the Texas Board of Pardons and Paroles that would be more than rubber-stampers, and support legislation that makes the process more just and transparent, which is what her support for a moratorium in 2000 after the execution of Gary Graham was about and which is consistent with her legislative record. For what it’s worth, while Texas remains the capital punishment capital of the world, our death row population has declined rapidly in the last decade and is at its lowest point since 1989. This is due in large part to a steep decline in the number of death sentences being meted out in the past decade. People may support the death penalty in Texas, but they’re getting a bit more reluctant for the state to use it, especially with “life without parole” as a sentencing option. All of this is a longwinded way of saying again that I agree with Rusty Hubbarth on the likely effect of this attempt by Greg Abbott to distract from Davis’ TV ad or whatever else he wants to distract attention from. EoW, Texpatriate, and Erica Greider have more. The State Bar of Texas has opened an investigation into Charles Sebesta, the former Burleson County District Attorney who prosecuted death row exoneree Anthony Graves. The organization that oversees lawyers is investigating alleged professional misconduct by Sebesta, which, if proven, could result in his disbarment. The investigation was prompted by a complaint that Graves filed in January. Sebesta will have 30 days to file a response to the complaint. “It sets a precedent for other state prosecutors that they have to act ethically,” said Ramota Otulana, a clerk at the law firm that represents Graves. Graves spent 18 years behind bars — 12 of them on death row, where he twice neared execution — before the U.S. 5th Circuit of Appeals overturned his conviction in 2006, ruling that Sebesta had used false testimony and withheld favorable evidence in the case. State Bar officials have said the previous complaint was dismissed because the statute of limitations on the alleged violations had expired. In 2013, lawmakers approved Senate Bill 825, which changed the statute of limitations, allowing a wrongfully imprisoned person to file a grievance up to four years after their release from prison in cases of alleged prosecutorial misconduct. Previously, the four-year statute began on the date the misconduct was discovered. State Sens. Rodney Ellis and John Whitmire, and state Rep. Senfronia Thompson, all Houston Democrats, joined Graves in calling for accountability for Sebesta at a Wednesday press conference. See here for the background. I hope they nail him. Sen. Ellis has more on his Facebook page. Fascinating story about Texas’ oldest inmate on death row. He’s been there for 36 years. Two weeks after he turned 40, Jack Harry Smith showed no signs of letting middle age slow him down. So on the first Saturday in January, he put on a ski mask, grabbed his pistol and a buddy, and went charging into a Pasadena convenience store. As career criminals go, Smith never had been newsworthy nor successful. That changed by the time he ran out the front door of Corky’s Corner, and it wasn’t because of the small sack of cash in his hand. Behind him lay the body of Roy Deputter, the store’s bookkeeper who lived in a trailer behind the store and had rushed inside with a gun when he heard the commotion. Before him loomed capital murder charges. Smith’s lawyer says his client recalls little of the event. Prosecutors and lawmen typically are skeptical of convenient memory loss, but there’s a good chance he is telling the truth. On the day that Smith earned his ticket to death row, Jimmy Carter was threatening to slap a tariff on imported steel, Egypt and Israel were closing in on a historic peace accord, and the Dallas Cowboys were on the verge of their second Super Bowl title. Which is another way of saying that Smith is old. By the standards of Texas’ death row, in fact, he is ancient. No one lasts that long in the nation’s most aggressive capital punishment state, certainly not a three-time loser who has spent most of his life behind bars. This isn’t California, which sends many people to death row but rarely executes them. The only inmates to escape the death chamber are those spared by appeals courts or those so mentally ill they are not competent for execution. And there are but a handful of those. Smith is not one of them, and by rights he should not be alive. Yet he has beaten the odds and lingered on since 1978 – through six presidential administrations, countless Middle East negotiations and too many Super Bowls to remember. Tragedy has stalked his case for years and put his appeal on hold again and again. Now he is 76 and there’s no end in sight, at least not one imposed by the courts. By “tragedy”, they mean that the original judge in the case and two of Smith’s lawyers died while his appeals were in process. That all helped delay the process, in addition to the usual slow pace of the system; the average inmate spends a bit more than ten years on death row before the sentence is carried out. At this point, the Attorney General’s office is officially pursuing matters, though the Harris County DA’s office could still be involved. Smith’s co-defendant was paroled a decade ago, and if his death sentence were to be commuted, he’d be paroled as well, though he has no family left and thus has no one to go home to. It’s hard to see what would be gained by continuing all the legal machinations. The best resolution, for some value of “best”, anyway, is probably to leave things as they are and let nature take its course. Former Texas death row inmate Anthony Graves, who spent 18 years behind bars before he was exonerated in the bloody 1992 slaying of a Somerville grandmother, her daughter and four grandchildren, is seeking justice against the man who put him there. In 2006, the 5th U.S. Circuit Court of Appeals overturned Graves’ capital murder conviction when a three-judge panel said he deserved a new trial after ruling that Burleson County District Attorney Charles Sebesta elicited false statements from two witnesses and withheld two statements that could have changed the minds of jurors. Graves, who was released from prison in October 2010, is taking advantage of a new state law that allows a grievance against a prosecutor to be filed within four years of a wrongfully imprisoned person’s release. State Sens. Rodney Ellis, John Whitmire and state Rep. Senfronia Thompson, all Houston Democrats, stood behind Graves on the campus of Texas Southern University on Monday as he and his attorneys urged the Texas State Bar to investigate and discipline Sebesta. Graves and his attorney, Bob Bennett, said the new law remedies the statute of limitations rule. Whitmire and Thompson sponsored the bill that was one of several that passed last year as details of Michael Morton’s wrongful murder conviction and exoneration came to light. 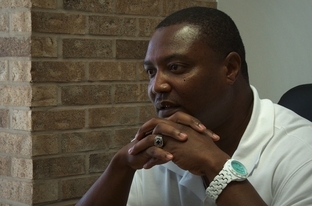 Anthony Graves deserves justice in the same way and for the same reasons as Michael Morton. In many ways, the injustice done to Graves was worse. If you’re not familiar with Anthony Graves, read this report by Texas Monthly writer Pamela Colloff, who is the authoritative source on Graves and Morton. That article was published on the day that Graves was freed after the charges against him were dropped. So yeah, this is a big deal. You need to read Colloff’s two feature stories to get the full measure of outrage at this horror. Sebesta avoided any repercussions for his abhorrent actions initially because Texas’ law at the time started the clock on the statute of limitations way too soon. Here’s Colloff again with the details. Bennett, who filed the grievance, takes issue with that, arguing that the Fifth Circuit’s ruling “was the official notice of what had taken place.” And Graves’s attorney, Cásarez, believes that’s key. While it’s true that Graves’s lawyers learned in 1998 that Carter had repeatedly told Sebesta of Graves’s innocence, when they took a deposition from Carter at that time, it was simply a defendant’s word against that of a sitting district attorney. It was not until 2006 that the Fifth Circuit made an official finding that Sebesta had withheld evidence. “Now, how can someone file a grievance and expect to get anywhere until a court finds that the prosecutor engaged in misconduct?” Cásarez wondered. Thankfully, SB825 took care of that loophole last year. Now maybe Charles Sebesta will finally be held to account for his actions. The Trib and Colloff again have more. Chief Justice John Roberts of the U.S. Supreme Court formally ordered on Wednesday that a rare public judicial misconduct complaint against 5th U.S. Circuit Court of Appeals Judge Edith Jones be reviewed by officials in a different circuit — one based in the nation’s capital. “I have selected the Judicial Council of the District of Columbia Circuit to accept the transfer and to exercise the powers of a judicial council with respect to the identified complaint and any pending or new complaints relating to the same subject matter,” Roberts said in a letter addressed to the D.C. circuit’s chief judge that was posted on the 5th Circuit’s website. “This is a hopeful sign that (federal judges) are taking this seriously,” says a lawyer who signed the complaint, James C. Harrington of the Texas Civil Rights Project. Chief Justice Roberts’ letter, dated June 12, reports that the reassignment of the judicial misconduct complaint against Jones to jurists in Washington, D.C., came in response to a request for transfer from the current Chief Judge of the 5th Circuit, Carl E. Stewart. Stewart, who replaced Jones as chief judge last October, apparently requested last week that the June 4 complaint review be assigned to another circuit court for review. However, his request on Friday for transfer was not previously made public. See here for the background. Chief Justice Roberts’ letter is here, and more on the details of the complaint are here and here. I have no idea what to expect out of this, but I’m glad to see it being taken seriously. BOR has more. This is a potential blockbuster. 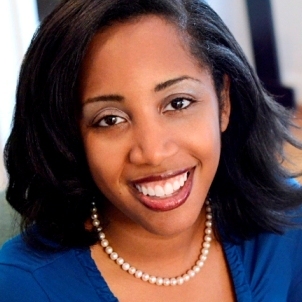 The complaint alleges that at a speech on Feb. 20, 2013, to lawyers at the University of Pennsylvania School of Law, Jones made statements that violated basic rules of judicial ethics, including the fundamental duty of impartiality. That the imposition of a death sentence provides a positive service to capital-case defendants because defendants are likely to make peace with God only in the moment before their imminent execution. The Trib has links to the complaint and the affidavits. Kos notes that according to the complaint, Jones “also made prejudicial remarks on cases that have yet to wind their way through the lower courts, cases in which she may have a say during any appeals”, which certainly sounds problematic to me. BOR points out that Jones is hardly a stranger to controversy. Having said all that, the group that sponsored her talk has come to Jones’ defense, so the matter is far from settled. I look forward to seeing how this plays out. The Fifth Circuit is in dire need of a makeover, and if it begins with President Obama getting to name a replacement for Judge Edith Jones, that would be all kinds of awesome. The 5th U.S. Circuit Court of Appeals is widely viewed as one of the nation’s most conservative federal appellate courts, but President Barack Obama could get a chance to change that perception in his second term. Federal judges don’t have a mandatory retirement age and aren’t obligated to take senior status, a form of semi-retirement that allows them to continue hearing cases. While there’s no telling how many seats may open up, even a handful of vacancies would give Obama an opportunity to reshape the court’s ideological bent during his second term. Russell Wheeler, a Brookings Institution visiting fellow who is an expert on judicial selections, said it’s plausible that the Democratic-nominated judges among active 5th Circuit judges go from being a 2-to-1 minority to holding a slim majority before Obama leaves office. The 5th Circuit has a reputation for being a corporation-friendly, pro-prosecutor foe of death penalty appeals and abortion rights advocates. It also tends to favor employers over employees and shows more tolerance for organized, state-sanctioned prayer than other circuits. University of Houston Law Center professor David Dow, who clerked for 5th Circuit Judge Carolyn Dineen King in the mid-1980s, said judges’ decisions are guided by Supreme Court precedent and statutory language far more than their personal ideology. Dow, who founded the Texas Innocence Network and has represented more than 100 death row inmates in state and federal appeals, estimated that 95 percent of the cases on the 5th Circuit’s docket would be decided the same way no matter which direction the court leans. I can think of one decision that might have been different with an alternate cast of characters in place. 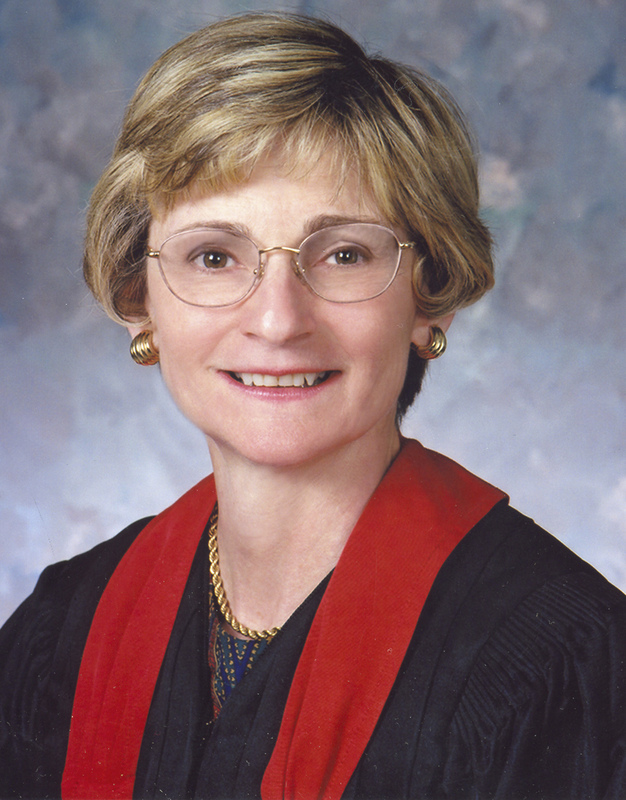 I don’t know much about the justices on the Fifth Circuit Court, but one that I do know is Edith Jones, the previous Chief Justice, who will turn 65 and thus become eligible for senior status in 2014. Jones was the author of that opinion I cited, and if you were to ask me which one justice for whom I’d like to see President Obama appoint a replacement, it would be her. Beyond that, any extra diversity of background and experience – perhaps David Dow would like to don the robes – would be appreciated. Obama has nominated 42 circuit court judges and has had 30 confirmed as of early December, according to Wheeler. He said Obama’s confirmation rate is fairly consistent with the first terms of Clinton, who had 30 of his 39 nominations confirmed, and George W. Bush, who had 34 of 56 nominees confirmed. Wheeler sees signs that Obama is poised to pick up the pace of his judicial nominations. The White House has submitted 15 nominations for district court seats since Congress broke in August, far more than his most recent two predecessors did during the same period of their presidencies, he said. “He may be gearing up to go for broke in his second term,” Wheeler added. To which I say, “about damn time”. Obama’s seeming lack of urgency in making judicial nominations was something for which he received a fair amount of well-deserved criticism during his first term, though Republican obstruction has been a big factor as well. If he plans to spend the next four years making up for lost time, that would be a fine thing. UPDATE: I wasn’t aware when I wrote this that Ted Cruz is now on the Senate Judiciary Committee, where he joins John Cornyn. Cornyn has not been obstructive to Obama’s district court appointments in Texas, but this is different, and I don’t have any reason to expect that Cruz will play nice. So let’s just say this is more complicated than I originally thought. The ethics behind Court of Criminal Appeals Presiding Judge Sharon Keller’s decision to shut the doors on a death penalty appeal are resurfacing as her opponent launches a contentious campaign against her. Democratic defense lawyer Keith Hampton is striking out at Keller, a Dallas resident who’s held the presiding judge post since 2001. Experts say Hampton has a long road ahead of him, made rockier by the fact that no Democrat has won a statewide race in nearly 20 years. Though he has more money in his arsenal and is running a broad campaign against Keller’s job performance, her party affiliation and incumbent status are huge advantages. Nine judges sit on the Court of Criminal Appeals, the highest court in the state for criminal charges, which hears capital punishment cases and has been criticized for reversing convictions for technical matters unrelated to a defendant’s innocence. If Hampton wins, he would be the only non-Republican on the court — and probably the only Democrat elected statewide. The Trib wrote about Hampton’s efforts to woo Republican voters last month. A victory for Hampton is one part how high the Democratic baseline is this year, and one part how successful he is at that persuasion effort. There is a Libertarian candidate on the ballot as well, which allows for the possibility of Hampton winning with a plurality vote. If he can get to 48%, he has a decent shot. Over the weekend he got the endorsements of the DMN and the Star-Telegram, which will help a little, and when all is said and done he should have most if not all of the remaining newspaper nods. It would be nice if more people were aware of Sharon Keller’s record and voted accordingly – visit VoteNoSharonKeller.com if you need a refresher – but this is how it is. If she wins again she gets six more years on the Court of Criminal Appeals bench. She doesn’t deserve that, and neither do we. It’s hard to believe that it’s been ten years since Andrea Yates drowned her children in their bathtub. I’ve blogged about her many times since first posting about her trial and conviction, which was later overturned on the grounds that an expert witness for the prosecution, Dr. Park Dietz, gave false testimony at her trial; he claimed that she had watched an episode of “Law and Order” in which a woman murdered her children and was acquitted after using a defense of postpartum psychosis when in fact no such episode ever existed. She was eventually found not guilty by reason of insanity in 2006. I said at the time that justice has finally been served, and I believe that to this day. I’m glad there are more resources now for mothers who are suffering from postpartum depression. I’m glad that Andrea Yates is doing better, and I hope some day she’ll find peace and healing. I wish the legal system, and society in general, had evolved further in its understanding of these issues. And I hope there’s never another case like this one to test that understanding. Can’t say I’m surprised. Bitterly disappointed, but not surprised. A special court of review on Monday declined to reconsider a decision to void an ethics rebuke given to Sharon Keller for her role in a botched execution-day appeal, apparently ending the case against Texas’ top criminal judge. Prosecutors had argued that the special court mistakenly dismissed the charges against Keller over a procedural error, ruling last month that the State Commission on Judicial Conduct chose the wrong form of punishment when it rebuked the judge in July. They asked the court to return Keller’s case to the commission. But the special court — three appellate justices chosen at random to hear Keller’s appeal of the rebuke — rejected that request without comment. I’ve got no snark left in the tank for this. When good things happen to bad people, all you can do is remind yourself that much like Sharon Keller herself, life is not fair. What else is there to say? Grits has more. Well, at least it’s a small consolation. Clearing up confusion in its dismissal of an ethics rebuke against Judge Sharon Keller, a special court of review has issued an order that no longer makes taxpayers liable for Keller’s legal costs. The court’s original Oct. 11 order said Keller could recoup legal costs from the State Commission on Judicial Conduct — estimated by her lawyer to be “in the six figures” but probably less than $1 million. State law, however, specifies that attorney fees cannot be awarded in judicial conduct proceedings. The new order deletes the reference. If the special court won’t allow the warning, the lawyers argue that the matter should at minimum be remanded to the Judicial Conduct Commission for consideration of one of the alternative rulings. We agree. I had said before that Keller getting off on a technicality would be the ultimate in bitterly ironic endings. The ultimate in happily ironic endings would be for Keller to wind up suffering a real punishment as a result of appealing the wrist slap she originally received for being too harsh on her. A boy can dream, can’t he? Grits has more. Could there possibly be some accountability in this world? [The state Commission on Judicial Conduct]’s executive director, Seana Willing, asked the panel to reconsider its decision to dismiss the case, which stemmed from Keller’s actions on the day Michael Wayne Richard was executed in 2007. The three-judge panel had ruled that because the commission had instituted formal proceedings against Keller, it didn’t have the authority to issue a public warning against her. Instead, the panel said the commission’s only choices were public censure, which is more serious than a warning; a recommendation for her removal from office or her retirement; or dismissal of the case against her. Because of that, the panel dismissed the case. The panel, called a special court of review, had been appointed by Texas Supreme Court Chief Justice Wallace Jefferson to consider Keller’s appeal. Willing, in her motion for rehearing, disagreed with the decision about the commission’s authority to issue a warning. But if that’s the case, she said, the appropriate thing would have been for the panel to send the case back to the commission so it could choose among its more limited options. “The commission is capable of correcting its error, and on remand can apply the correct range of censure, removal, retirement, or dismissal this Court found is available in formal proceedings,” Willing wrote. At this point, there’s nothing about this case that isn’t unprecedented, so who the hell knows what the panel may do. Speaking strictly as a non-expert non-lawyer, I don’t generally expect anybody to change their minds in this kind of situation. I do think Willing’s filing has merit, but then I think Keller should have been booted off the bench, so take that with a gigantic grain of salt. I figure this is just a setup to dash my hopes again, so I’ll save a step and not get them up in the first place. Go ahead and tell me if you think I’m being excessively cynical. Grits has more. She’s still blaming others and lying about the facts. Texas’ top criminal judge said Tuesday that she feels vindicated that a special court dismissed a public reprimand of her for closing her court and preventing lawyers from filing a last-minute appeal hours before their client was executed. “What happened to me shouldn’t happen to any judge,” Texas Court of Criminal Appeals Presiding Judge Sharon Keller told The Associated Press during an interview at her courthouse office. Yes, thank God for her that she didn’t get in front of a judge like Sharon Keller, who would have given the back of her hand to her pathetic arguments. What a truly despicable human being she is. This happened late last week. An Austin appeals court has ordered Judge Charlie Baird to halt his inquiry into whether Cameron Todd Willingham was wrongfully executed in 2004 and whether there is probable cause that state officials committed a crime in their handling of Willingham’s case prior to his execution. The Austin American-Statesman obtained an order by the 3rd Court of Appeals from the court clerk just prior to 5 p.m. today, after Baird heard several hours of testimony on the case. By that time, Willingham’s lawyers had announced that they were through presenting evidence. Before Baird closed the hearing, former Gov. Mark White said that Willingham should be posthumously exonerated. Baird said he would take the case under advisement and issue formal findings of fact at a later date if they that is warranted. Dave Mann has a good report of what actually happened at the hearing before the Appeals Court suspended matters, Grits reviews the politics of the matter, and the Stand Down blog rounds up coverage of the story. I don’t know what will happen at this point, but I feel pretty confident saying we’d be paying less attention to this now if Governor Perry and his henchman John Bradley hadn’t expended so much effort trying to keep the lid on it. Justice is slow, but usually it eventually arrives. A special court of review Monday threw out an ethics rebuke given to Presiding Judge Sharon Keller for closing the Court of Criminal Appeals at 5 p.m. despite knowing that lawyers wanted to file an appeal for an inmate facing imminent execution in 2007. Bringing the high-profile case to a swift and stunning end, the review court said the commission committed fatal errors that doomed its punishment of Keller, issued in the form of a July “public warning” that chastised the state’s highest criminal judge for violating court procedures and bringing discredit to the judiciary. In essence, commissioners chose the wrong punishment, opting for a warning when state law and the Texas Constitution limited their options to a “censure,” a more serious penalty, the court ruled. The judges said they did not address the merits of the charges against Keller but based their decision solely on the errors committed by the commission. On Monday, the review court ruled that the type of proceedings used for Keller can only end in censure, not a public warning, and that the error was so fundamental that the only course was to dismiss all charges. Censure, the court reasoned, requires “a finding of good cause” and seven votes from the 13-member commission, an independent state agency that investigates allegations of misconduct against Texas judges. “Here, by failing to (authorize censure), the commission implicitly acknowledges that it did not find good cause for its actions or have the required votes to take those actions,” the judges wrote. The review court also assessed “costs of the litigation” to the commission, which could make taxpayers liable for Keller’s legal fees. So not only does Keller walk on a technicality, but we the people get to pay her lawyer bills. I’m going to be sick. Don’t anyone ever talk to me about “accountability” again. Grits has more, and Jeff Gamso gives it a proper summation. But the critical evidence in the case will probably be claims by a string of experts who have found in recent years that fire investigators who testified at Willingham’s 1992 Navarro County trial ruled the fire was arson based on theories that have been disproved by updated science. Lawyers for relatives of Willingham, executed in 2004, filed a petition with Baird last week asking him to hold an inquiry into the case to restore Willingham’s reputation and to look at whether state officials committed official oppression in their handling of his case before the execution. Those state officials are not named. The suit also asks that Baird determine whether there is probable cause to charge Texas officials with official oppression under a legal mechanism called a court of inquiry. 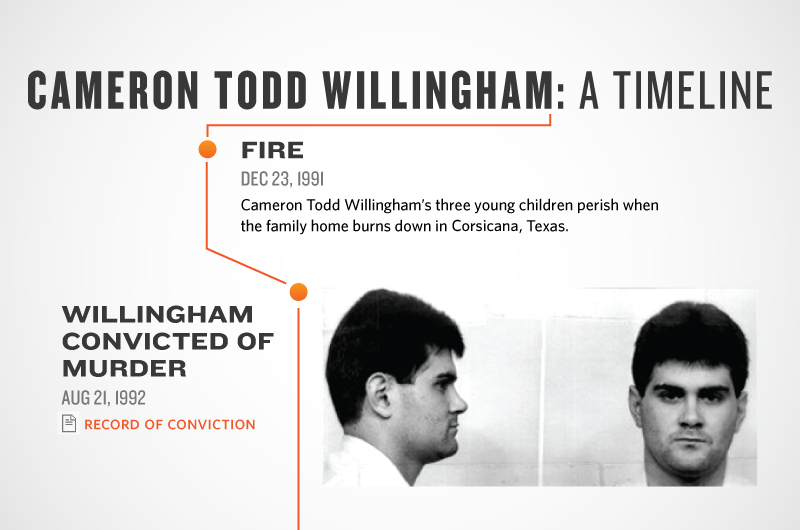 The suit claims that those officials, who were not named, committed that crime by failing to consider before Willingham’s execution that he was convicted on discredited arson science. Baird said in his e-mail that he has issued a bench warrant to have Johnny Everett Webb, who testified at Willingham’s 1992 trial, brought to Travis County for the hearing. Webb told a jury during that trial that Willingham confessed to the arson while they were in the same jail. Webb is in the Navarro County Jail on forgery and marijuana possession charges. According to news accounts, including an investigation of the Willingham case by The New Yorker magazine that was published last year, Webb has given differing accounts since Willingham’s trial on whether his testimony was truthful. That’s one hell of a can of worms. I can’t wait to see what happens. Grits has more. The Texas Supreme Court this morning denied Judge Sharon Keller’s request to throw out last month’s public rebuke for her role in a botched 2007 death row appeal. Later today, Keller’s lawyers are expected to file a separate appeal challenging the “public warning” given by the State Commission on Judicial Conduct. That appeal will ask Supreme Court Chief Justice Wallace Jefferson to name, by random drawing, three appeals court justices to review whether the warning was justified. The Supreme Court did not elaborate or give reasons for its 8-0 ruling. Justice Nathan Hecht, who successfully challenged a public rebuke by the commission in 2006, did not participate. In other words, we get to re-litigate everything all over again. All because she refuses to accept the little wrist slap she was given. Great use of tax dollars there. The Trib has more. UPDATE: Grits tries his best to make sense of it all. [I]nstead of appealing the commission’s decision through the usual route — requesting a new trial in front of a special tribunal appointed by the Supreme Court to reconsider its findings — Keller asked the high court to step in and evaluate the constitutionality of the sanction against her in an advisory opinion. She did that through a separate legal vehicle, called a writ of mandamus, which could allow the court to unilaterally reverse the commission’s decision. For Keller, there are two possible advantages in this approach: One, it saves her the time of going through the regular appeals process, and two, it puts her case in front of an all-Republican court that she might view as friendly. The commission filed its response to Keller’s charges [Friday] morning. It says that even if it did act outside of the constitution — the commission maintains it did not — that Keller erred in asking the Supreme Court to intervene. That’s because Keller can only ask for a mandamus from the high court if she has already exhausted all other remedies under law. According to the commission, that hasn’t happened, because she hasn’t yet asked for a new trial from the specially appointed court to review her case. Keller has until the 30th day after the commission issued its decision — July 16, for those of you keeping track — to challenge it the old-fashioned way. The SCJC’s response documents are here and here (both PDFs). I don’t think I can pinpoint exactly when this saga transitioned from melodrama to farce, but there’s no question we’re there now. Just sit back and enjoy the show, y’all. UPDATE: Grits is taking my advice. She’s still going for full vindication. Because as far as she’s concerned, she did nothing wrong. [I]n a Supreme Court petition filed Thursday, Keller argued that the commission acted in a “lawless” manner because the Texas Constitution forbids it to issue such a warning. 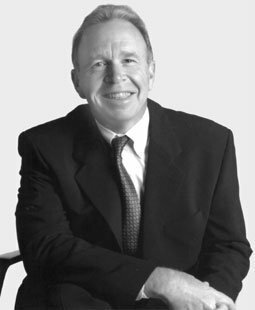 Babcock asked the court to issue a writ of mandamus ordering the commission to expunge the warning from all records and to drop its charges against Keller. “The (commission) should not be given rein to wreak additional mischief,” he wrote. Here’s the background on what this is about. All I can say is that I can’t think of a more bitterly ironic ending to this fiasco than Keller getting off on a technicality. Somebody pour me a drink. What is this “warning” of which you speak? I’m glad to see that someone is asking questions about the warning that the State Commission on Judicial Conduct handed down to Sharon Keller. She argues the commission should have based its order on the constitution, which allows the commission only three options after it begins formal proceedings against a judge and after a special master issues a report: issue a censure, recommend removal or retirement, or dismiss the charges. But John J. “Mike” McKetta, the special counsel who prosecuted Keller, thinks the constitution allows the commission to take the action it did. Bob Warneke, the commission’s counsel in Keller, says the commission’s position is that the order “speaks for itself.” He declines further comment. While [Keller defense attorney Chip] Babcock is discussing an appeal, how such an appeal would proceed is unclear. That’s because there are different procedures for appeals after formal and informal proceedings. A public warning typically follows informal proceedings, but in Keller’s case, the commission issued a public warning after formal proceedings. Willing says that even though the commission does not pay Graves Dougherty legal fees for McKetta’s work as special counsel, it had to pay for the firm’s expenses in Keller, which totaled about $20,000 so far. “Are we going to have to do that again?” Willing asks. I would hope the answer to that is No. At this point, it appears the only way for that to be ensured is for Keller to take her medicine and let it go already. I’m not going to hold my breath waiting for that to happen. Thanks to Grits for the Texas Lawyer link.